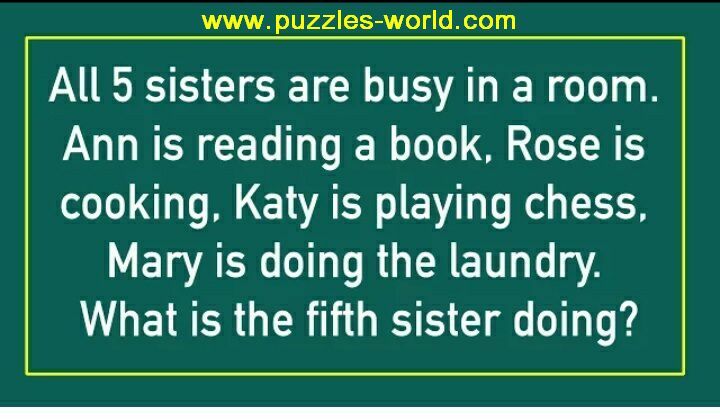 All 5 Sisters are busy in a room. Mary is doing the laundry. The Fifth Sister is playing Chess with Katy.